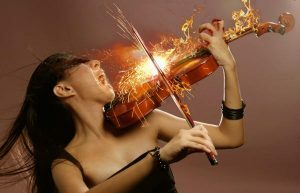 How does talent become passion? How does passion result in creative expressions? Jane Piirto, Ph.D. continues in her book Talented Children and Adults, “What is the impetus, what is the reason, for one talent taking over and capturing the passion and commitment of the person who has the talent? The idea of the daimonic has multiple meanings, “from befitting a demon and fiendish, to motivated by a spiritual force or genius and inspired. “Passion is essential. It’s what drives us to manifest our skills and talents, creating real change in the world. But not all passions are created equal, says cognitive psychologist Scott Barry Kaufman. Read more, including transcript, in post: There Are Two Kinds of Passion: One You Should Follow, One You Shouldn’t, Big Think, March 4, 2016. 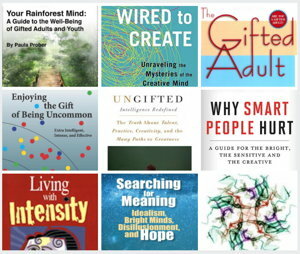 Psychologist Scott Barry Kaufman is Scientific Director of The Imagination Institute in the Positive Psychology Center at the University of Pennsylvania, and author of books including Ungifted: Intelligence Redefined and co-author with Carolyn Gregoire of Wired to Create: Unraveling the Mysteries of the Creative Mind. “If you’re passionate, people get suspicious. It’s much cooler and safer to show nothing and be glib, because if you’re not showing anything, no one can nail you. 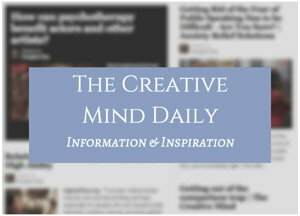 Read more in post: Gifted, Talented People: Too Passionate? James Hillman writes about the importance of this “unrest” of passion: “We hunger for that… it’s only American psychology that hasn’t got that myth, the myth of calling, destiny. “As I say, Mormons, West Africans, Buddhists, Hindus, Kabbalists all have that. “The shamanistic cultures, the American Indian cultures all had this idea that you have a reason to be here. 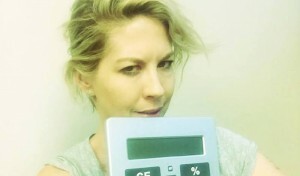 “You are a unique creature and this is not just genetic, or where you are in your family, first son or third daughter, or something, all that kind of causal thinking drops away. James Hillman is author of The Soul’s Code: In Search of Character and Calling. 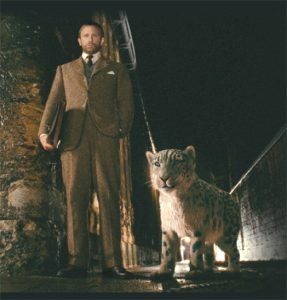 One of the elements of the movie The Golden Compass that I found really interesting and exciting was the depiction of a person’s daimon as an aware and verbal animal, such as the big cat of Lord Asriel (Daniel Craig) in the photo. From my post Do we all have genius? Does it get drummed out of us? 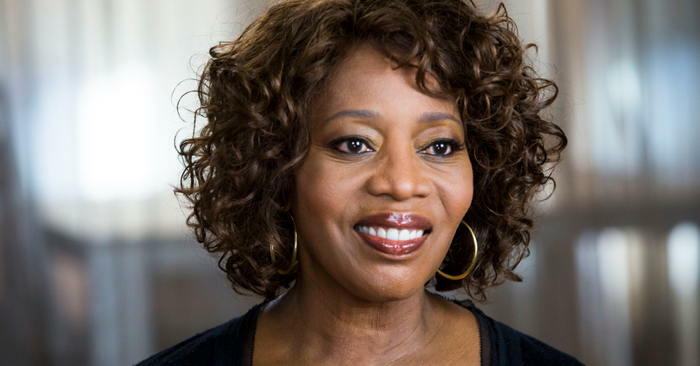 Jean Houston thinks “Essence is neither a place nor a time, an insight or a state of mind. It is the deepest part of our nature, an actual presence that is innate and inborn. Of course, it takes more than simply feeling passionate about something. The elements of experience, focus and persistence are also crucial for leading a fulfilling and creative life. And many people may find the advice to “Find your passion” to be useless or even fearful. Author Daniel Pink has said, “I find that question very daunting: What’s your passion? I find that almost paralyzing, in a way. See more, including video, in post: It takes more than feeling passionate. 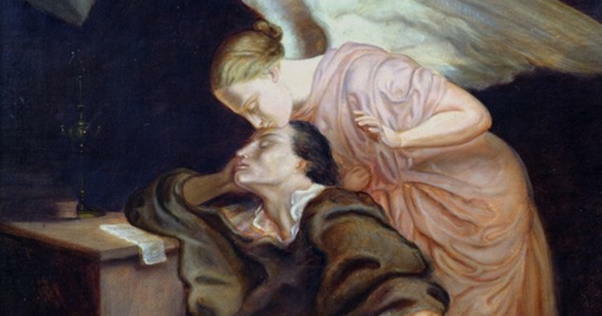 In his article Angels and Daimons, Patrick Harpur writes, “while the personal daimon is exactly that – personal – it is also always grounded in the impersonal and unknowable depths of the psyche. Patrick Harpur is author of Daimonic Reality: A Field Guide to the Otherworld. 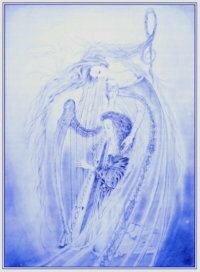 Being inspired by a muse or daimon, to realize our talents has personal meaning and value of course – but also social. An editorial review of the book The Undiscovered Self by Carl Jung says the author “argues that the future depends on our ability to resist society’s mass movements. 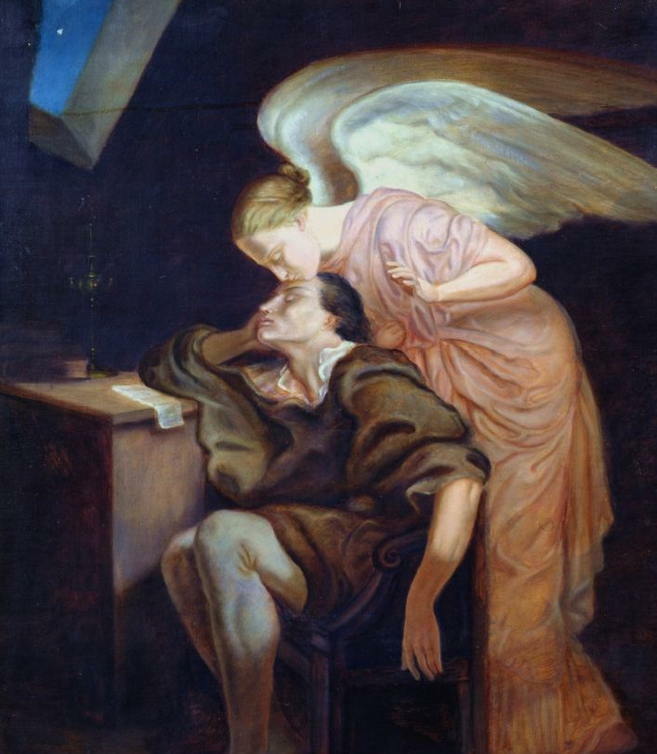 Painting: Kiss of the Muse by Paul Cezanne, also used in my post Creative talent: genetics, a muse, or hard work?